That in a nutshell is one of the greatest challenges facing Apple retail today, and one that’s been years in the making. It’s not really surprising either. Especially since the introduction of the iPhone, the number of Apple devices in consumers’ hands has grown exponentially, while the number of Apple Stores and Geniuses that work in them has not. McHugh ultimately resorted to a third-party repair shop to solve a software problem with Voice Memos and had a good experience. The story, however, strikes an increasingly common refrain that highlights a problem Apple needs to address. Would you go to a Photo Walk at a Microsoft store? Do you trust a Google retail employee to teach you how to draw? Is there a group of passionate musicians dedicated to Samsung platforms? 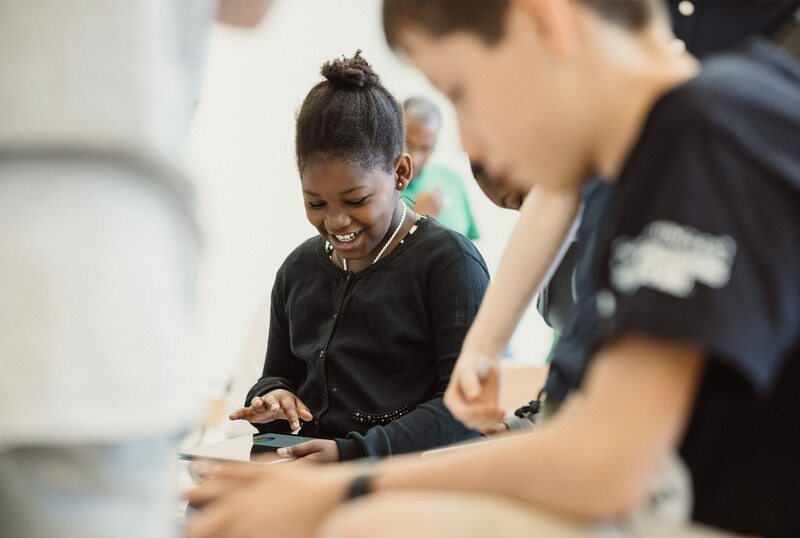 Apple has captivated the creative community for over 40 years, and many people across the world have done their life’s work with Apple products. This year’s “Behind the Mac” ad campaign perfectly encapsulates why people are excited about Today at Apple. In-store sessions aren’t totally new. Apple stores have held workshops in one form or another since their introduction in 2001. But until Today at Apple, sessions were more focused on technical training and lacked the same creative spark. Steeber's point about other big tech companies is a great one. I wouldn't look to any other tech giant for creative lessons in areas of music, photography, or drawing, and I don't think any other average customer would either. But with Apple, the story's different. The company has always held a special level of credibility among creators, and that remains true today. I've never attended a Today at Apple session, but over time I've grown more and more intrigued by Apple's major retail initiative. 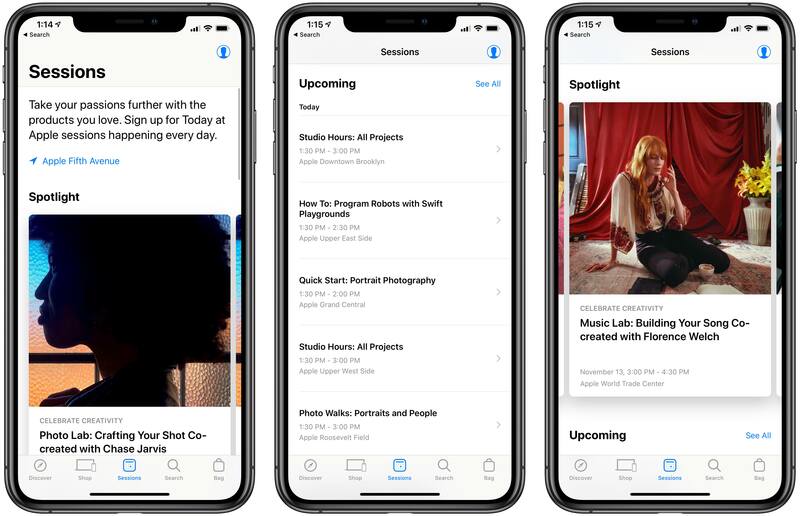 Unlike the intense scrutiny given to everything else Apple does, Today at Apple seems to receive very little attention from the world of tech journalism. Yet Apple clearly believes it's on to something with Today at Apple, and it shows every time Angela Ahrendts or Tim Cook spend time at an event lauding the program. It's hard to care too much about Today at Apple when your closest Apple Store is far enough away to be an inconvenience, which is perhaps why I never seriously considered attending a session while living in the suburbs of Dallas. Now that I'm in the urban environment of New York City, however, with Apple Stores all around and in walking distance, the idea of popping in for a session to help sharpen my creative senses is really appealing. It doesn't hurt that Apple's latest retail store work is so visually stunning, making a great environment for learning. Moving forward, I'm definitely eager to keep a close eye on Today at Apple. 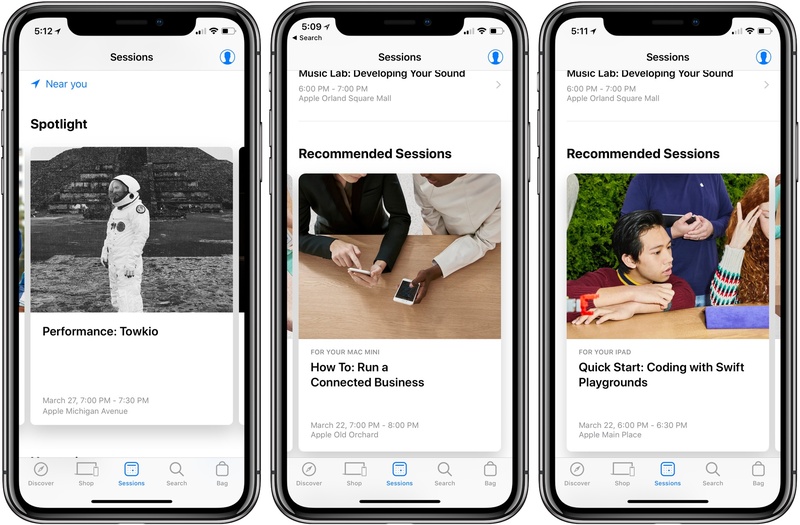 Apple has updated the iOS Apple Store app to version 5.0 with a new Sessions tab and improved personalization. In the center of the tab bar, the new Sessions tab highlights upcoming Today at Apple programs. The tab is broken into Spotlight, Upcoming, Recommended Sessions, and Signature Programs sections. At the very bottom of the page, you can also browse sessions by category. Recommended sessions are based on the Apple products you owned and perhaps also previous sessions you’ve attended. For example, in my case, the app recommended a Swift Playgrounds session either because my son attended a similar class in December or because I own an iPad Pro and ‘How To: Run a Connected Business’ because I have a Mac mini. The sessions listed were located all over the Chicago area, which I like, except that it made it harder to find sessions at the Apple Store closest to my home. The app also uses its history of your Apple devices to let you know if accessories you purchase are compatible with the hardware you already own. I like this feature a lot because it spares me the trouble of investigating compatibility myself, and presumably will spare Apple from some returns by customers. 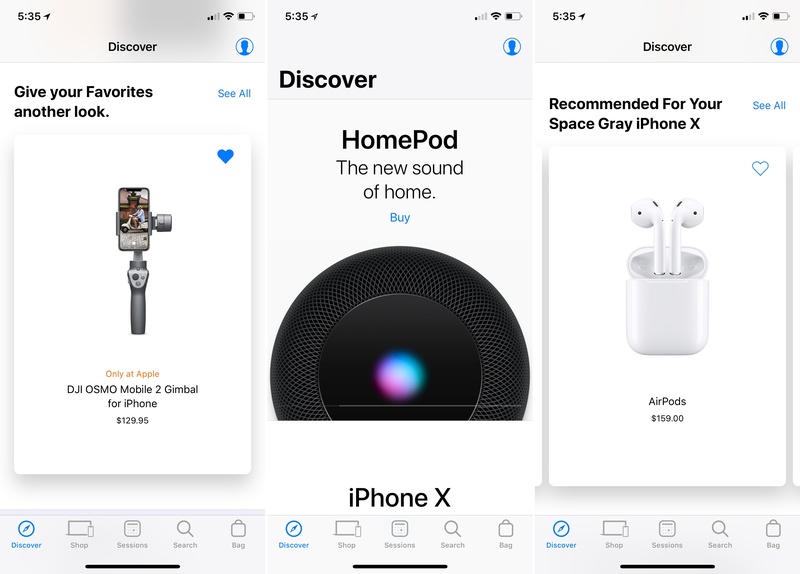 In the Discover tab of the app, your product history is used to provide personalized product recommendations.1 The tab also includes reminders of items you’ve marked as favorites, suggesting you take another look at them, and adds new ways to manage your orders. In my limited time with the update, I’ve been impressed with the recommendations and greater personalization. Apple Stores are almost always packed with people near my home, so an improved Apple Store app experience is always welcome. The Apple Store app is available as a free download on the App Store. At midnight, the war room's server activity chart ticks abruptly from green to red under a flood of incoming iPhone orders. On the wall, blinking red lights begin flashing across a digital world map with a concentrated flurry of activity in China and South Asia. 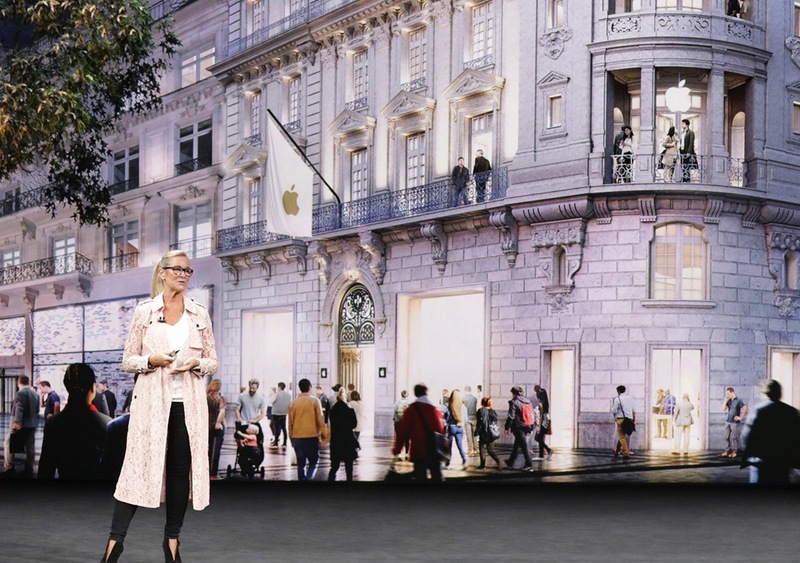 As author Nicole Nguyen explains, Ahrendts' first order of business when she took over retail operations was to update Apple’s online experience. 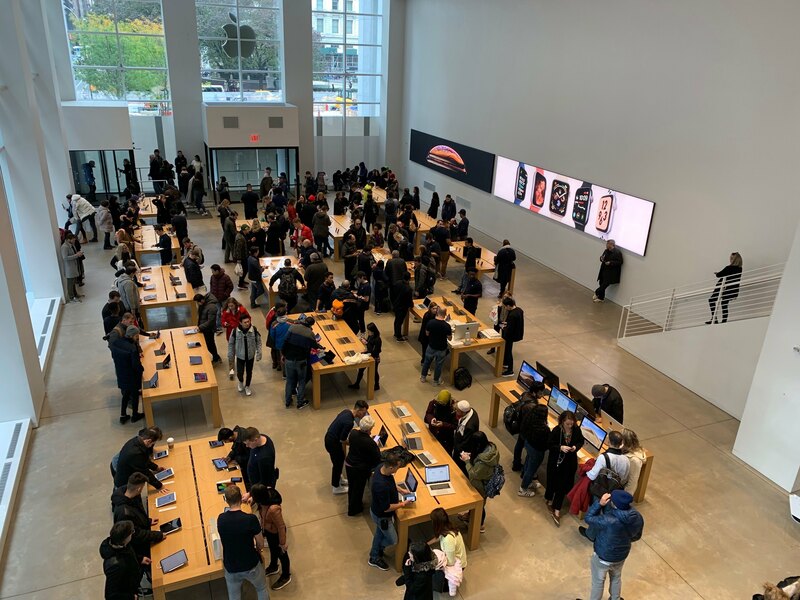 Those efforts included better integration between Apple’s online and physical stores, which reports say are now second only to Amazon in sales revenue. …the core of the strategy is doubling down on metropolitan areas. Ahrendts’s team conducted an extensive study of cities, looking at factors such as tourism, technology usage, and demographics, an approach taken from her roots in high-end fashion. “One of the things I took from luxury is you look at the top cities in the world; you don't just look at the countries. We did a lot of analysis, really studying the top 100 cities in the world, and not just now, but by 2020 and by 2025. Because you really need to target your investment,” she said. In addition, Ahrendts is overseeing the renovation of 400 existing stores and expanding the benefits of employees who work at them. The feature ends with Ahrendts overseeing the distribution of iPhone 8s and other pre-ordered items from a UPS facility in Kentucky. Like many things with Apple, the scale of the operations that Ahrendts manages is almost too vast to comprehend, but Nguyen does an excellent job of capturing both the scope of those operations and the personality that Ahrendts brings to her role. 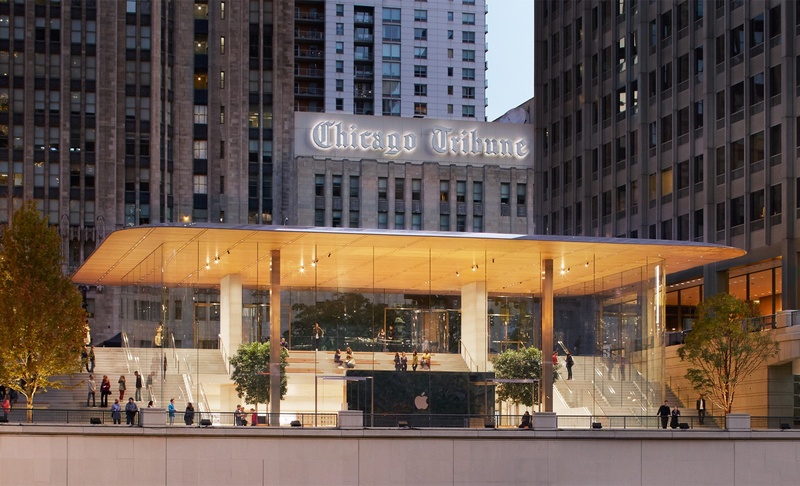 For 14 years, Apple’s flagship retail store was a fixture at the north end of Chicago’s Michigan Avenue, the shopping district known as the Magnificent Mile. Built in 2003, Apple’s Michigan Avenue location was the company’s first flagship store, featuring a glass staircase that seemed to float to the second floor just beyond the store’s entrance. 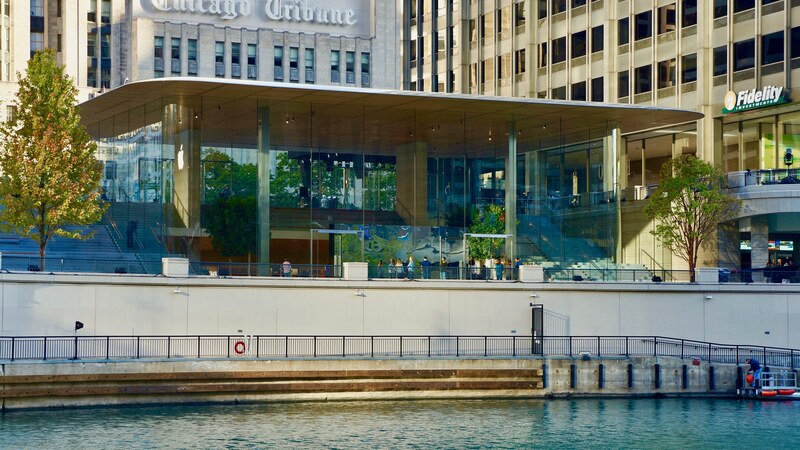 Yesterday though, after many months of construction, Apple opened a new flagship store to the public along the Chicago River that reflects the new direction in which Apple began taking its retail locations last year. Star Wars merchandise is a big deal in the retail world, especially when it coincides with a new film in the main saga. Two years ago, Disney held the first ‘Force Friday’ to kickoff the launch of Star Wars toys and other products tied to The Force Awakens. Now the Mouse House has set September 1 as ‘Force Friday II.’ And this time around, there’s an AR experience tied to the launch called Find the Force, which Apple will be involved in hosting. Beginning on Force Friday II, Apple Stores, along with other popular retailers like Wal-Mart and Target, will begin selling Star Wars: The Last Jedi merchandise and play host to Find the Force, which lasts through September 3. 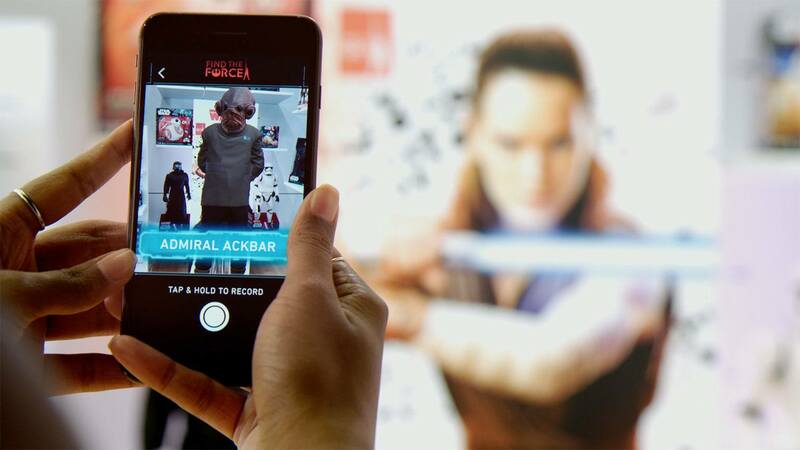 During that time, shoppers can use the Star Wars iOS app to scan in-store displays as part of an AR treasure hunt. When the display is scanned, it will reveal a Star Wars character who appears through AR in the store. In total there are 15 characters to find over the three-day window. If you plan to participate in Find the Force, it’s best to download the Star Wars app now and launch the feature ahead of time, as it requires a substantial in-app download before you’re up and running. With the launch of iOS 11 and ARKit-powered apps later in the month, September is shaping up to be a big month for augmented reality.